Haydn, thank you so much for the Correx Panels, they look fab. 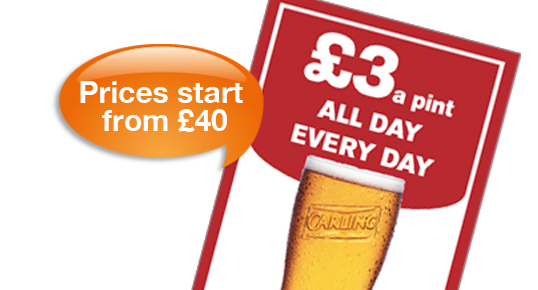 Correx Panels are a great printed product to get your advertising message out there quickly, we supply a lot of pubs and restaurants who want some quick advertising for changing promotions. You can even take advantage of our same day printing service in sheffield!. We can print on to correx boards of any size - these are always printed full colour, using the best quality colour printing methods, we can even do these as a same day printing service.